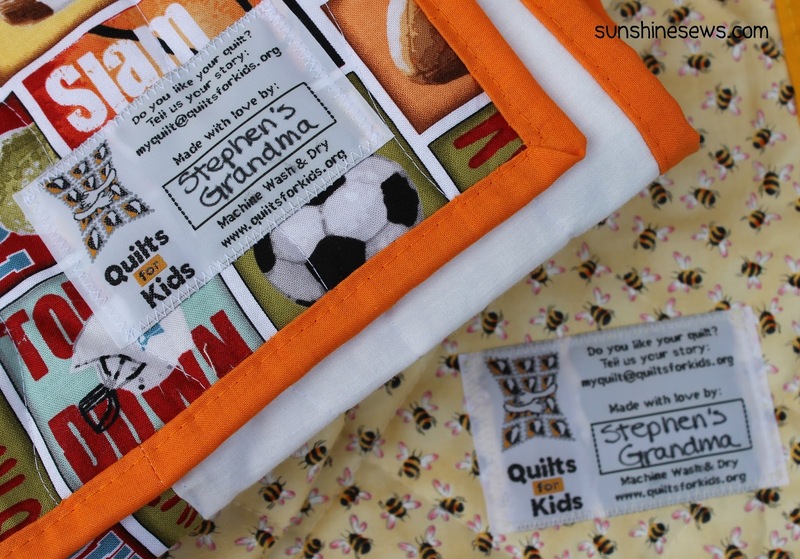 I completed 2 more quilts for Quilts for Kids today. 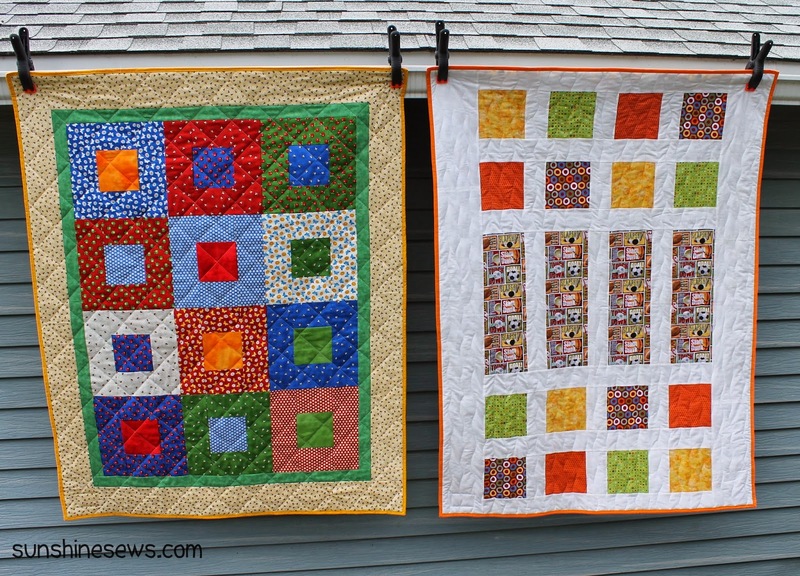 Both of these quilts were made without patterns. I made them from photos I pinned to Pinterest. The thing is our QfK chapter gets donated fabric and sometimes there's just small pieces of fabric collections so it can be challenging to figure out what to do with it. These were quick and easy and didn't take long to complete since I kept them smaller than usual. I was recently asked to make a quilt for my friend Sharon's sister. Sharon is also my neighbor but I think of her as a friend first and a neighbor second. Our families have grown up together for over 25 years now. We even accidentally ended up working for the same company but that's a story for another day. This is a story about Sharon's sister, Sandy. It's a story of love, caring and compassion. I remember quite a few years ago Sharon was terribly worried about her sister's husband, Frank. Frank was struggling with falling down and the doctors could not figure out why. When they finally got a diagnosis, it was life altering. Frank was diagnosed with ALS. This horrible disease wreaks havoc on the body in unimaginable ways. Sandy was so very generous to share her family's experience with this disease through Facebook. Through photos and updates, we followed her and Frank's travels and adventures that they joyously experienced together before the ravages of the disease didn't allow it anymore. She shared the ups and downs of the health issues, the stresses of navigating the health care system, and the little things that we took for granted but they rejoiced in. Through all this Frank never complained and Sandy never faltered in her magnificent care-giving abilities. I admire her compassion and strength and think of her as a role model when it comes to marriage and family. When Frank passed away, we all grieved for the family. We followed the love story on Facebook for so many years that even though I only met them a few times in person, I felt an intimate connection to them since Sandy shared their experience with all of us. 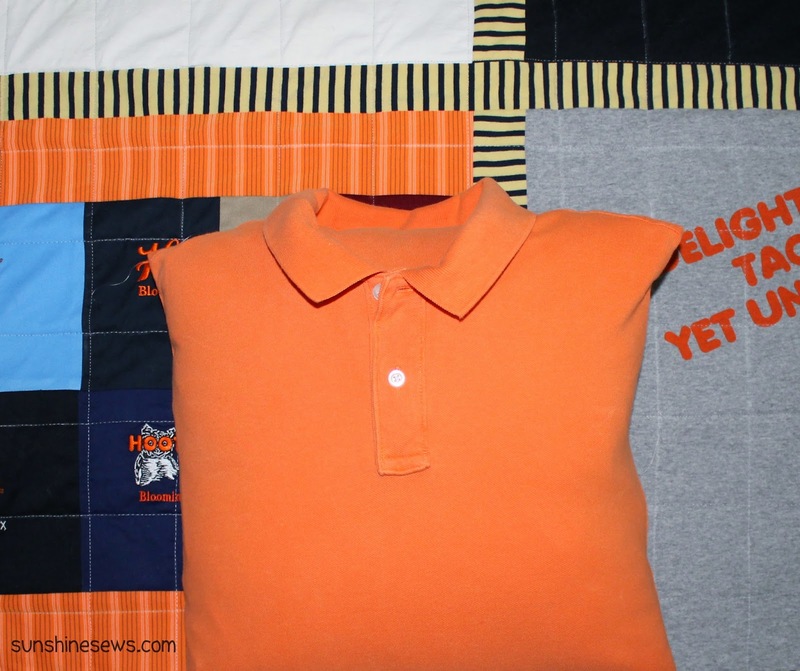 When Sandy asked me to make a t-shirt quilt out of Frank's special shirts I was honored and humbled all at once. Taking on the responsibility of a project like this is something I do not take lightly. I want it to be as perfect as their love story. 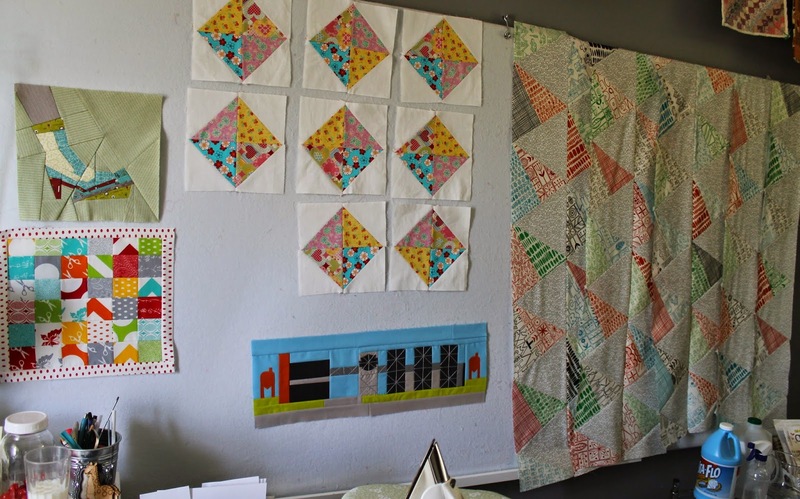 I worked with Sandy on the layout and design and put together the quilt top. 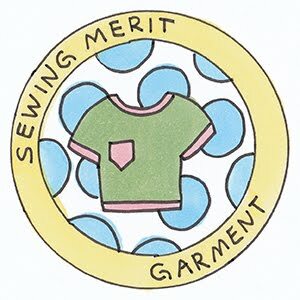 After following their story for so long, I would walk past my sewing room and see the striped sashing strips out of the corner of my eye and remember the photos where Frank was wearing that shirt. It would make me feel a little pain in my heart for Sandy's great loss. Then I would hug my husband and hold him tight. Once the top was finished, I started on the back. The theme t-shirts were on the front of the quilt but I still had solid color polo shirts for the back. 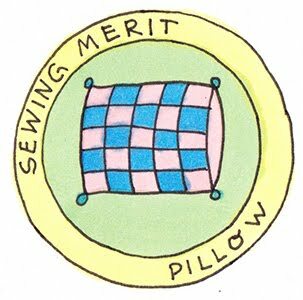 Sandy mentioned that she would like pillows made out of the leftover shirts when the quilt was done so I started thinking about how I could accomplish that creatively. 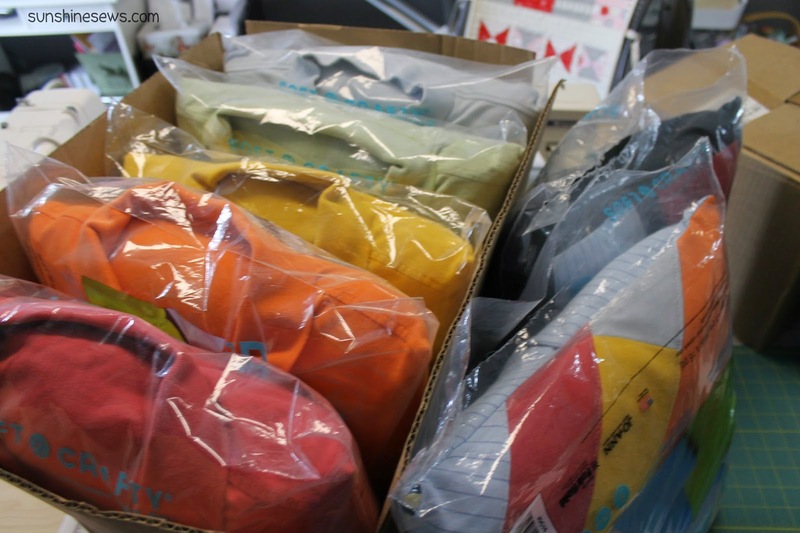 I've seen photos on Pinterest of dress shirts converted to pillows but not polo shirts. So I decided to come up with my own idea. I made sure I kept the top of the polos in tact and cut the bottoms off to use on the back of the quilt. 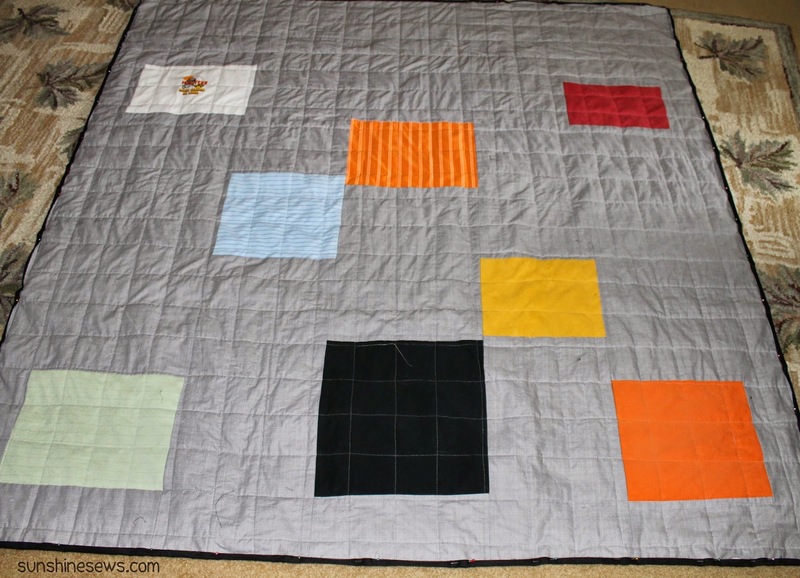 Once the quilt back was completed, I put the layers together and quilted it. I used a dress shirt for the quilt binding. I wasn't sure it would be enough, but luckily there was plenty to go around the entire quilt. Now for the pillows...how was I going to accomplish my goal? I wanted to use a pre-made pillow form and make it look like it was wearing the shirt. In order to do that I had to fill in the neck hole. After staring at the shirt draped over the pillow form for a while, I figured it out...just use the sleeve! I pinned the sleeve into the neck hole and sewed it in place. It worked great. I presented a photo to Sandy and she loved it. 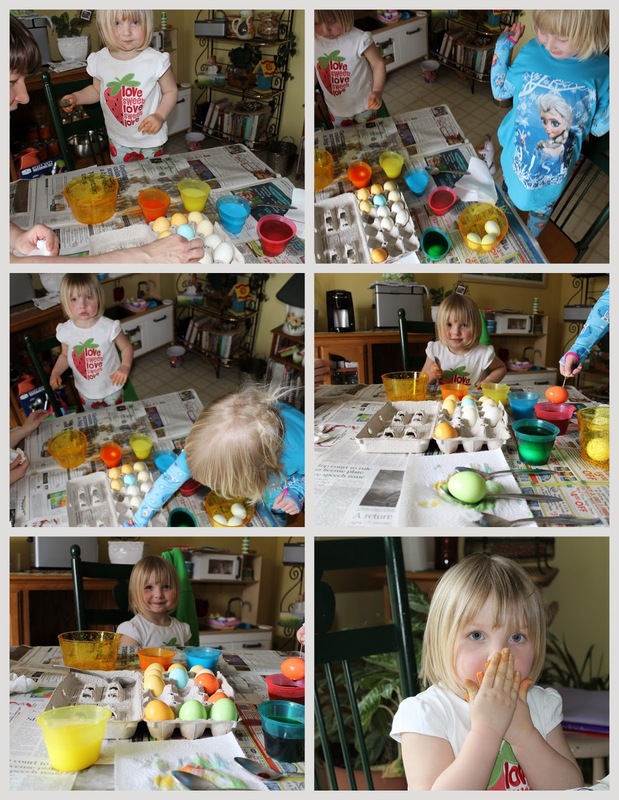 So I made 4 more. Now I was down to scrap pieces and dress shirt parts. 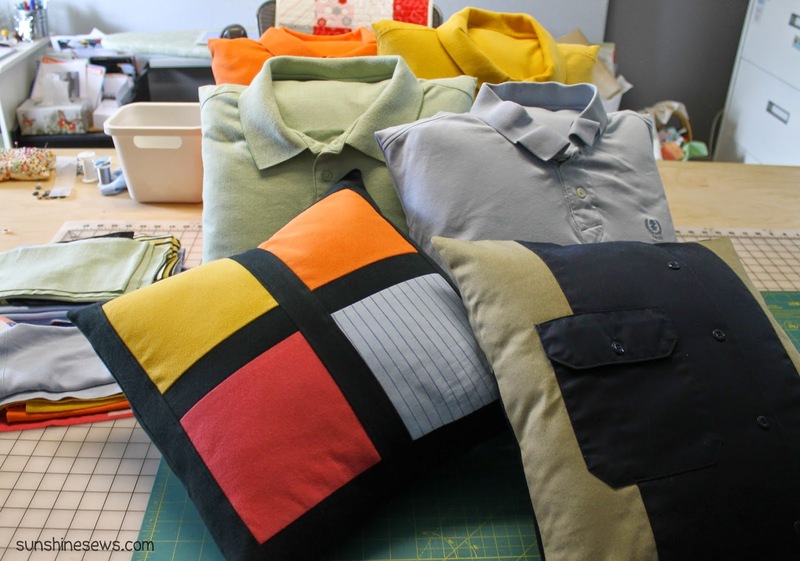 I made some patchwork-style pillow covers and one that used up one of the oxford shirts. Surprisingly, I have very little left over. There's just a small pile of scraps which seems amazing considering everything I made. I am so happy I could deliver everything Sandy wanted without compromise. Sandy picked up her quilt and pillows yesterday and she seemed very happy with the results. We took some photos together before she left. I cannot express how honored I am to be part of this important project and how glad I am that she liked the results. I feel lucky to have a friend like Sharon to recommend me to do the work. I would like to ask everyone reading this to go to the ALS website and donate to the cause to help stop this horrible disease so maybe the next great love story doesn't have to end like this one. I had a client request to take a leftover piece of curtain that was part of a bathroom remake and turn it into a quilted basket to sit on the back of a toilet. The client has one of my little teacher baskets I made a few years back and wanted this one to resemble that basket only sized large enough to go in that special behind-the-toilet space. The fabric is a polyester blend that would not hold up well as a basket so its a good thing it was to be quilted. To help make it even more durable I picked up some matching twill to line the basket. The twill definitely added another layer of stand-up-ability to the basket. I measured the back of our toilet to get some idea of dimension however, considering the size of the scrap piece, I would be limited in what I could do. The scrap piece was about 13" wide and 40" long. So I squared it up to be 12.5" x 20" to get it to the right length. There were two pieces of scrap 3" wide by 40" so I used some of that for the handles. After I completed the basket, I had enough left over to make a smaller, taller quilted basket to match. I thought it would be a nice to roll up some hand towels, put them in the basket and place it on a bathroom sink. Or just throw your junk in it under the sink. After the project was done all that was left was some 3" wide scraps. I think I used up the fabric wisely. I hope the client likes her basket and the little extra to go along with it. The month of March was pretty amazing. 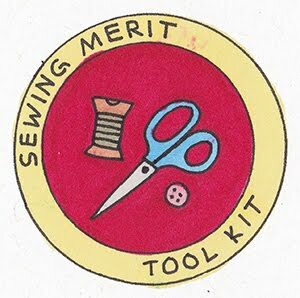 Between a craft show, quilt show, and some sew days with both my church group and the Quilts for Kids group, I don't know how I got any sewing done of my own. Plus my brother and his family came to town over their spring break so we spent two days hanging out with them and enjoying their company. All that plus I have a memorial t-shirt quilt in the works for a client and another small client project to complete this week. And my sister wants a lesson in how to can vegetables so I will have to plan that as well. I can't say it has been easy. My spine surgeries are letting me know how hard I've been working and reminding me that I need to slow down. Some days the pain is so severe I am pretty medicated by the time I go to bed but I find that the more I try to be productive, the less depressed about my condition I become. It really is a trade off....feeling good physically and mentally at the same time is something I have not been able to achieve but at least I have a group of people who strongly support my efforts and are always ready to help me out. My family is incredible. 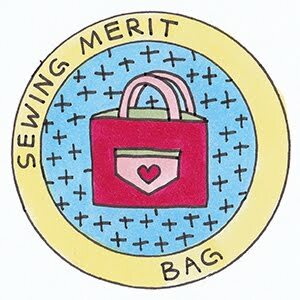 Enough with the pity party, it's time to start another month of sewing. 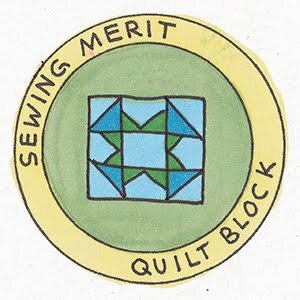 On the design board today I have a Quilts for Kids project in the works. 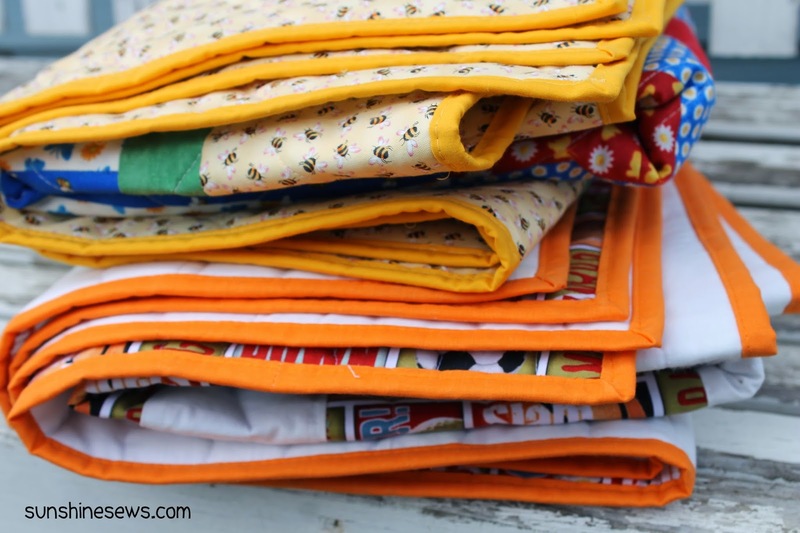 During our last sew day I found a large chunk of white fabric and I decided that I would keep making modern kid's quilts until the white ran out. I started this one based on a photo from Pinterest - no pattern or instructions, just a caption on the photo that said it used charm squares. So I cut 5-inch squares of prints in half, sewed them to half square triangles of the white then rearranged them and sewed them back together to make the blocks. Easy enough. I also started a quilt using a Summersville layer cake that I have had in my stash for a few years and Jaybird Quilts' pattern, Stereo. 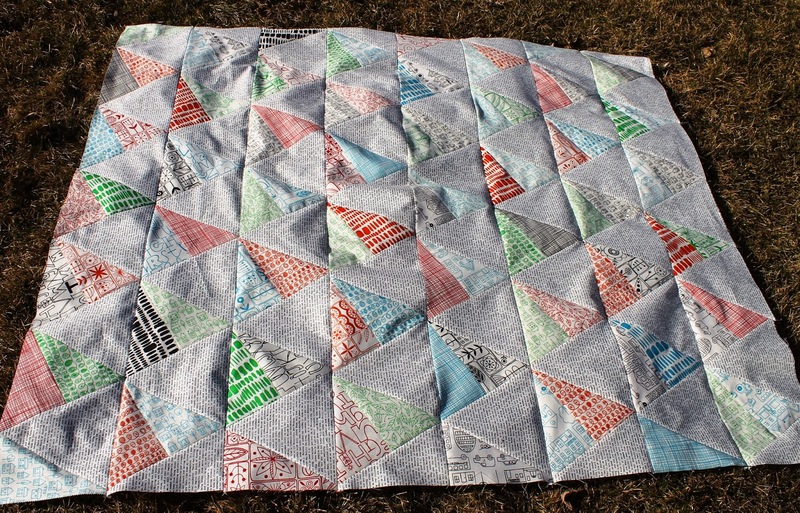 I took out some low volume text fabric from my stash to start putting the quilt together. The rows are completed and I've started to sew them together but I have many rows to go so they are piled on top of each other since there's just not enough room on the design board. Still don't know what to do with that paper-pieced shoe block. Hopefully inspiration will come around in the near future. 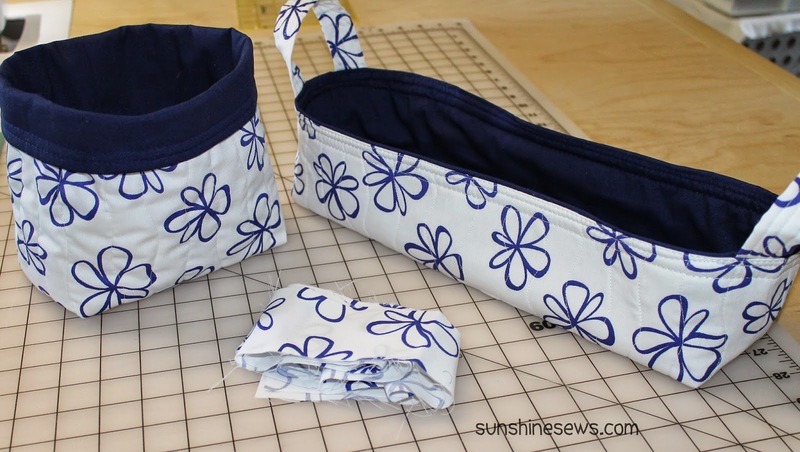 I think I should take some time out from sewing and do my taxes soon!